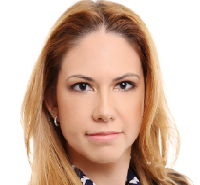 A clinical and research psychologist, Dr. Viviane Pecanha began her education and career in Sao Paulo, Brazil. With a focus on cognitive and behavior analysis, she received a doctoral degree in the field of addictive and chemical behaviors at the University of Sao Paulo, Brazil. Since 1998, Dr. Pecanha has worked to advance research and education for addictive disorders. She helped found the first South American treatment and research center dedicated to understanding impulse control disorders and gambling. Dr. Pecanha also co-founded a Brazilian non-profit organization that educates and trains mental health professionals to diagnose and treat impulse control disorders. She has provided both inpatient and outpatient psychological services for behavioral and chemical addictions at psychiatric hospitals, residential treatment facilities, and community counseling centers. In 2005, Dr. Pecanha began teaching at the graduate level at the University of California in Los Angeles while researching addiction issues as well as counseling clients in private practice. She has since returned to Brazil, teaching online for The Chicago School and furthering its global mission by arranging field study in Brazil for TCSPP students. Dr. Pecanha continues her work as a clinical and research psychologist in Brazil, providing cognitive behavioral therapy to clients suffering from mental health issues, and working to increase public awareness of addictive behaviors and related consequences such as trauma and violence. Silva, J.V., de Castro, V., Laranjeira, R., Figlie, N.B. (2012). High mortality, violence and crime in alcohol dependents: 5 years after seeking treatment in a Brazilian underprivileged suburban community. Rev. Bras. Psiquiatr., 34(2):135-142. Nyamathi A, Shoptaw S, Cohen A, Nyamathi K, Marfisee M, Kallifard, F, de Castro V, George D, Leake (2010). Effect of Motivational Interviewing on Reducing Alcohol Use. Drug Alcohol Depend,107 (1):23-30. Nyamathi A, Compton M, Cohen A, Shoptaw S, Greengold B, de Castro V, Reaves M, Hasson A, George D, Leake B, Marfisee M, (2009) Correlates of Hospitalization for Methadone-Maintained Persons with Physical Health Problems. Western Journal of Nursing Research, 31,525-543. Nyamathi, A., de Castro, V., McNeese-Smith, D., Nyamathi, K., Shoptaw, S., Marfisee, M., Khalilifard, F., & Cohen, A. (2008). Alcohol use reduction program in methadone maintained individuals with Hepatitis C virus infection. Journal of Addictive Diseases, 27(4):27-33. Nyamathi, A., Smith, D.M., Shoptaw, S., Mutere, M., Cohen, A, Amrani, I, Morales, L., & de Castro, V. (2007). Perceptions of methadone maintained clients about barriers and facilitators to help-seeking behavior. Progress in Community Health Partnerships: Research, Education, and Action, 1(4): 301-309.
de Castro, V., Fong, T., Rosenthal, R.J., & Tavares, H. (2007). A comparison of craving and emotional states between pathological gamblers and alcoholics. Addictive Behaviors, 32(8):1555-1564. Savoia, M.G., Vianna, A.M., Esposito, B., Guimaraes, E.P., Gil, G., Jorge, L.A.F., Toledo, L.C., & de Castro, V. (2006). Portuguese translation and cross-cultural validation of a personality disorders inventory. Arquivos Médicos dos Hospitais e da Faculdade de Ciências Médicas da Santa Casa de São Paulo, 51:43-46.
de Castro, V., Fuentes, D., & Tavares H. (2005).The gambling follow-up scale: development and reliability testing of a scale for pathological gamblers under treatment. Canadian Journal of Psychiatry, 50(2):81-86.
de Castro V. Cognitive and Behavior Treatment for Chemical Dependences In: Savoia, MG, Ed. Interface between Psychology and Psychiatry - New Concept in Mental Health. São Paulo: Rocca, 2012, p 155-166. Tavares H, Fagundes G, de Castro V, Daltio C, Braun I. Changing the Game: treatment manual for pathological gamblers. Sao Paulo: Leitura Medica, 2008.